This is a small piece I have carried with me for at least twenty-five years. 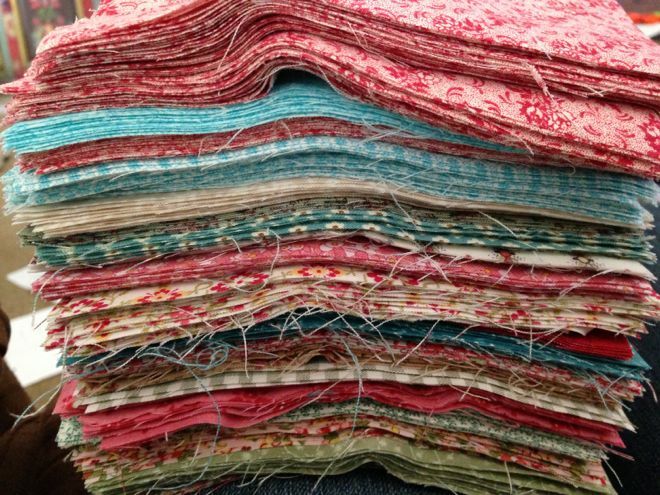 Too small for clothes, too special to cut into... but now it will appear in six squares of my new patchwork quilt. Out of a box and into a loved quilt... that's more special! Nineteen different cotton prints, all washed and pressed. I cut six inch strips, then cut those strips into six inch squares. Now I have 329 squares. I have an 86" x 86" poly cotton Ikea comforter. It's light and poufy... the same I used on the last quilt I finished. More or less, accounting for seam allowances, the six inch squares will be about five inch squares after sewing, and so I'll make the quilt top 17 squares by 17 squares... roughly 85" by 85" and then I can either give it a narrow sashing all the way around, or bring the backing forward for the binding. So. Next up... laying down the comforter and playing around with the 329 squares, to see what looks good. Random... no pattern, no plan. I'm keeping this one simple. Patchwork. 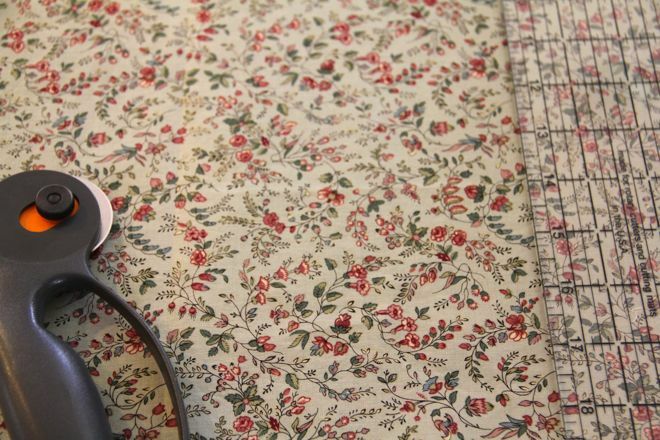 Comforting colors, small prints. Romantic. Light. Airy. And tied. I've only ever machine-quilted one quilt, and it was okay but it makes the quilt kind of stiff, compact. 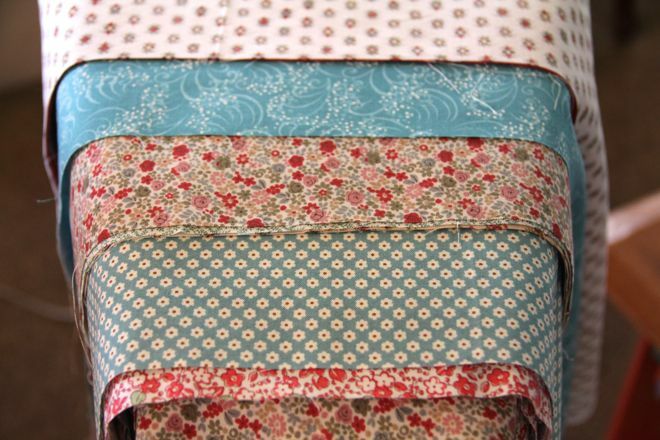 Hand quilting would be too much of a challenge with the thick comforter sandwiched in there. 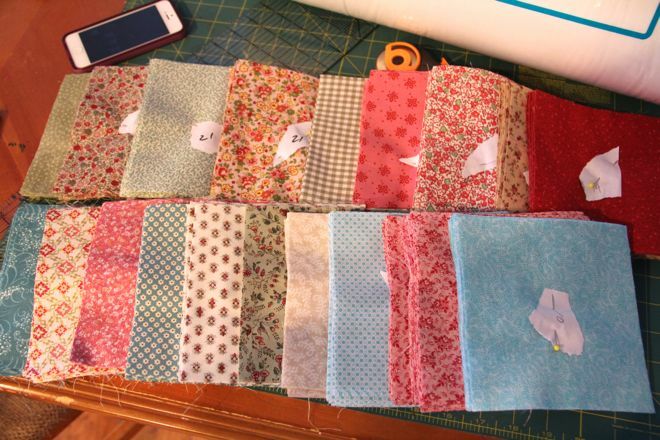 Honestly, I am looking forward to finishing another tied quilt... it makes such a cozy and, like I said... poufy quilt. I LOVE playing with those squares and making color combinations! I have about a million I need to use. Bring them out! I'd love to see your collection. I am getting too bogged down in design dilemmas! These are gorgeous colors! Going to be a beautiful quilt. I'm glad you think so, Heather. I am still in love with the colors, but figuring out the quilt plan is getting to be a bigger challenge than expected. Happy Spring, Here Is A Goat!